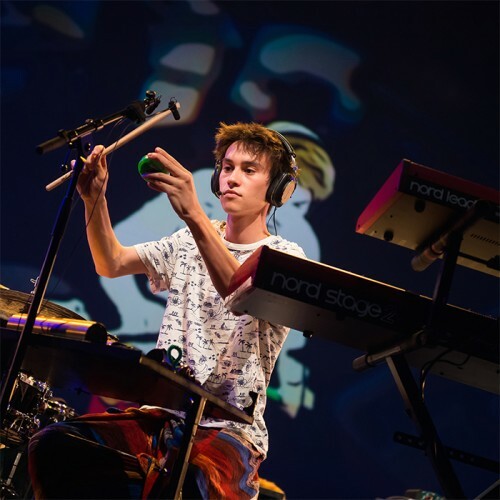 UK artist and Quincy Jones's protégé Jacob Collier is only 20 years old, yet his undoubted talent as a musician and singer has already earned him the epithets of 'jazz's new prodigy' and 'jazz music's new messiah' from some heavy-weight music reviewers. 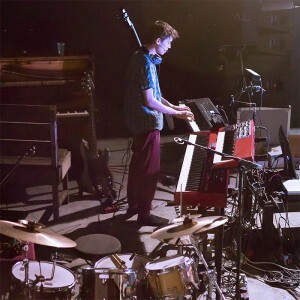 Currently studying at the Royal Academy of Music, Collier recently embarked on a project with Ben Bloomberg, a PhD graduate student at the MIT Media Lab, to find new ways to multi-track live music. As a fan of the brand, Bloomberg chose to use DPA microphones. 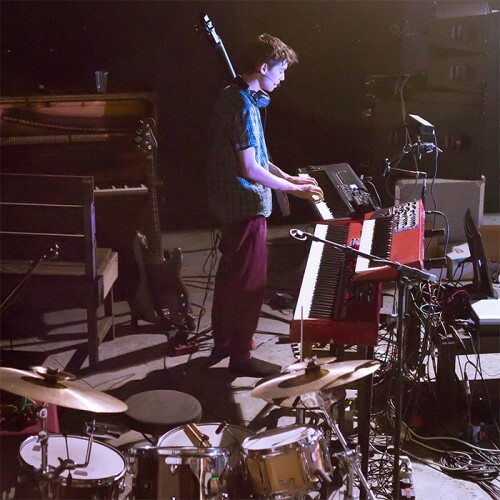 These included the versatile d:vote 4099 instrument microphone, which was used to capture drums, percussion, melodica and piano, a d:dicate 4011 cardioid microphone for drum overheads and a d:fine 4088 headset microphone, which Collier wore throughout his performance. Bloomberg and Collier's collaboration dates from the beginning of 2015 when Bloomberg saw one of Collier's videos on line and sent him a message via Facebook. "A few weeks later, folks from Quincy Jones' production company got in touch saying Jacob was building a live show and asked if I would be interested in helping out," Bloomberg explains. "Jacob and I met up for a weekend in Boston and I built the first sketchy version of the harmoniser for him. It was clear we were on to something, so he came back to Boston for a week and we started to formally build it, and the rest of his live set. We spent a week together in London rehearsing at the end of June and have since performed the show twice – at Ronnie Scott's and at the Montreux Jazz Festival." At MIT, Bloomberg does music technology – robot opera, 150 channel surround sound installations, crowd-sourced symphonies, immersive experiences etc, but his specialty is audio and live entertainment technologies. "I've used DPA mics for some time, but the d:vote 4099 instrument microphones are relatively new to me," he explains. "I only came across them in March when I was working on a project for the Lucerne Festival and I was immediately hooked. The tight pattern makes it ideal for looping and on-stage electronics and the bleed from the room is so much less than other similar microphones. Yet it manages to maintain a natural and balanced response, very music, with the perfect amount of ambience for stage. It doesn't need much work, you just plug it in and put the fader up. "In contrast, d:dicate 4011 microphones are long-time favourites of mine. They are incredibly transparent and just all round work horses. From the original B&K to the current model, I've used all the various flavours in just about every situation (even on robots!). When putting together the spec for Jacob, we couldn't think of a better choice for the drum overheads. The low-profile shock isolation mounting was really helpful, since video is a large component of the set. To have the sound of a d:dicate 4011 in a package that small and invisible was fantastic." Jacob Collier's shows also involve a huge amount of movement. He jumps around the stage from instrument to instrument and needs to have both hands free to actually play. The obvious microphone solution for him was a d:fine™ 4088 Headset Microphone as this wouldn't restrict his performance in any way. "We had originally fallen in love with DPA's d:facto vocal microphone because it has all the detail you want from a super-cardioid live vocal microphone but none of the challenges you get with other high-end stage hand-helds," Bloomberg explains. "Initially we were going to put five of them around his set-up because we didn't want to go the headset route. We were worried about gain before feedback and thought a headset just wouldn't sound as good as a handheld." However things changed when Collier tried a d:fine 4088 mic. "It immediately became clear that not only was it an amazing sounding mic but the flexibility it provided would allow Jacob to feel natural and be free to move on stage," Bloomberg says. "Plus, the video guys love the look! I don’t compromise when it comes to vocals for Jacob it’s the most important input in the show. With this headset we actually got better sonic performance and gain before feedback given his movement." Collier and Bloomberg are planning more live projects, although details of these have yet to be announced. DPA microphones, though, will definitely be part of the equation: "I don't think we'll be doing a set without them now," Bloomberg says. DPA's UK distributor, Sound Network, advised Bloomberg throughout the project. He adds that working with DPA and Sound Network has been a real pleasure both companies are obviously so passionate about audio. "They really do care about the musicians and projects they are working on. It's so clear that DPA is invested in making amazing music experiences possible and the folks there are just so incredibly helpful."